Prices, services and locations vary depending on who you choose to plan your Maui wedding and which venue you decide to use. Maui's private estates are fantastic places to hold court for the day with lush oceanfront lawns and luxury homes that may be used for getting ready on the big day. 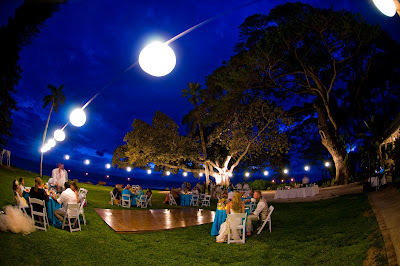 These are the some of the most expensive venues on Maui and require a decent sized budget. You'll need catering, a minister, someone to take care of the hairstyling, a floral designer, musician, Maui photographer and videographer. Not to mention a limousine for a grand entrance and maybe a dozen white doves to be released after the ceremony. The best way to get a full featured celebration like that together is to contact one of the many wedding planners on Maui and interview them for the job. Since our Maui brides are thousands of miles away, tending to these details yourself is a daunting remote task. Next on the list is the Hotels. There are numerous 5 star hotels on Maui in Kaanapali, Kapalua, Wailea and Makena that can arrange for an oceanfront lawn and all the amenities for your wedding celebration with coordinators working for the hotel. This is the most expensive way to plan your Maui wedding but may be worth it if your family and guest are staying at a particular resort and you don't want to get too deeply involved in the planning. Beware though that beach weddings are not allowed, by state law, on Kaanapali Beach so you must use the grounds of the hotel you are staying at unless you hire an outside coordinator to plan your Maui Wedding. OK: The Maui Beach Wedding. This is Maui's most popular request and there are dozens of wedding planners on Maui that can help you with one. Of course, you can do all the research yourself if you are so inclined but running around on your wedding day making sure you have all the details covered seems to fly in the face of the true purpose of eloping in Maui, which should be to chill out, wake up late and cruise to the beach in your rented convertible, hair flying free on a beautiful late Maui afternoon for your sunset wedding ceremony. There are a few caveats to a Maui beach wedding: No chairs are allowed on the beach except 1 or 2 for older or disabled persons. We can't have amplified music but any Maui wedding planner worth their salt will have several fine musicians to choose from. There are no arches allowed on Maui's beaches but our fine floral designers can whip up a beautiful circle of flowers to dress up your wedding location. Kaanapali Beach is off limits to wedding couples so don't make the mistake of thinking you can walk out the door of the Hyatt and get married on the beach! You'll have to drive or take a limo a few miles. All beaches on Maui are public, there are no private beaches but your planner will know the best beaches and time of day to choose for your wedding, which is early morning, around 8am or late afternoon, the hour before sunset. These times are ideal for your Maui beach wedding since beach goers have either not arrived or are leaving. High noon is hot and the beaches are being used, so don't schedule your wedding for midday (your guests will not be amused). We suggest our couples refrain from choosing Holidays, when beaches can be crowded or weekends when all us locals are taking some time to rejuvenate at the beach after a long workweek.